In this post we will create a sample app in Django python framework. 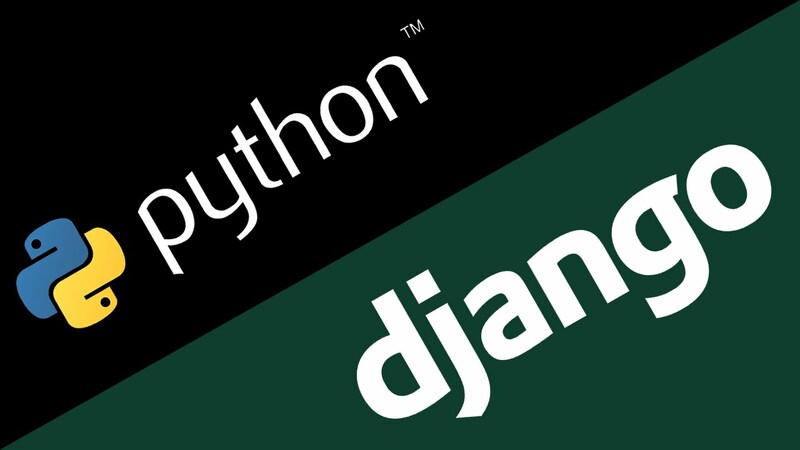 This tutorial assumes you are using Django 2.0, which supports Python 3.4 and later. __init__.py tells python this directory should be considered as a package. 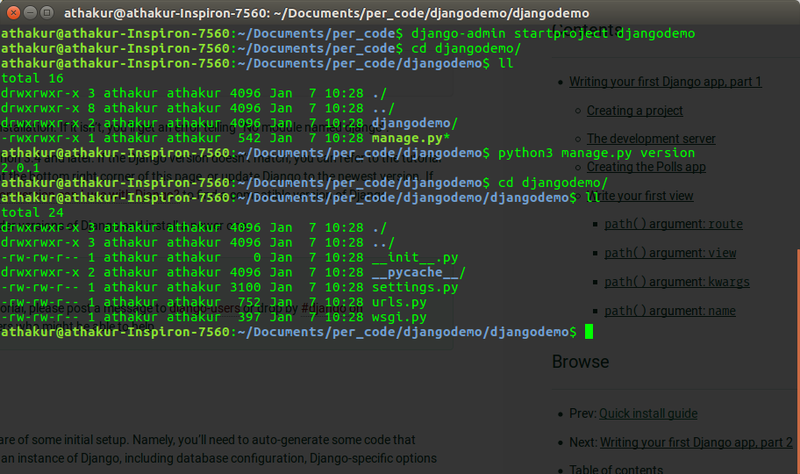 This also means your inner djangodemo directory is a python package. 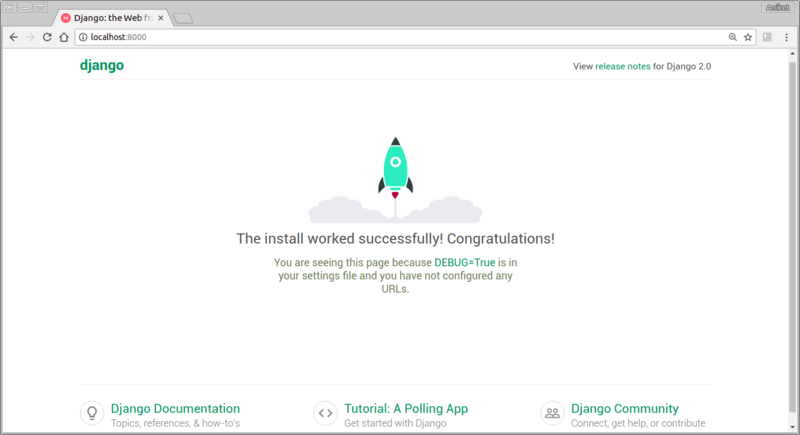 settings.py: Your Django app settings go here. urls.py: URLs used in your Django project go here. wsgi.py: This is an entry-point for WSGI-compatible web servers that can serve your project. Ignore the warnings for now. NOTE : You don't have to restart the server everytime you make changes to code. Django handles it. Just refresh the pages. A project is collection of apps and it's configurations needed for a website to run. Apps are modules that run in your project. A project can have multiple apps. Similarly a app can be part of multiuple projects. Apps can be at any python paths. Understanding : First we created an app called testapp. It should have some default files like view.py. view.py stores all your views. Here we added a new view called index and mapped it inside a urls.py file to the root url ("") at the app level. Next we mapped this to urls.py at our project level for '/test'. include maps the url provided and forwards rest the included module. In this case it will check url has 'test/' and forward the rest which is - "" to the urls.py in the testapp where we have mapped request view to "". So request view gets rendered. NOTE : Note how we added a __init__.py file in apps directory. 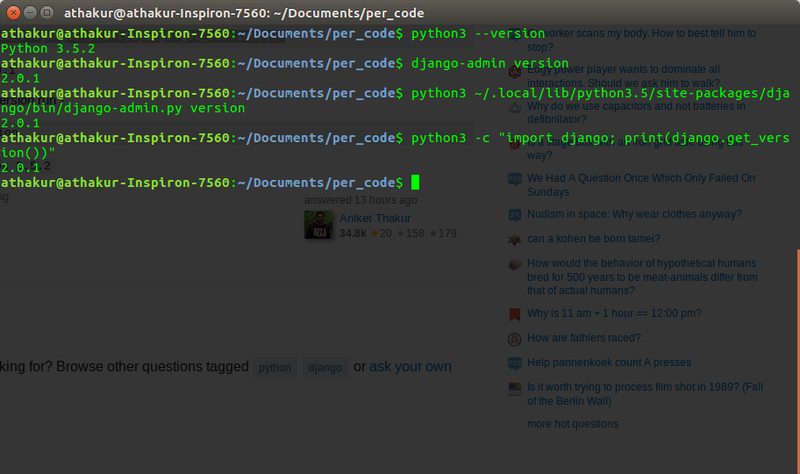 This is to ensure python recognizes this directory as a package. 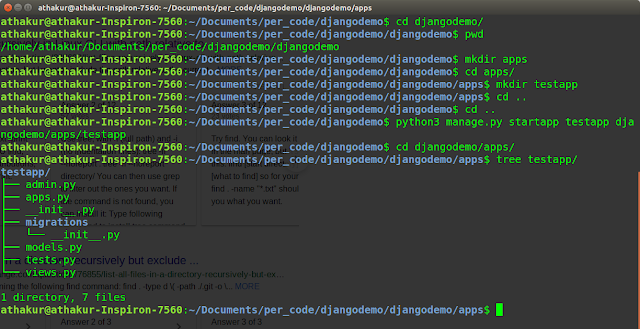 So that we could use djangodemo.apps.testapp.urls in the urls.py of project. 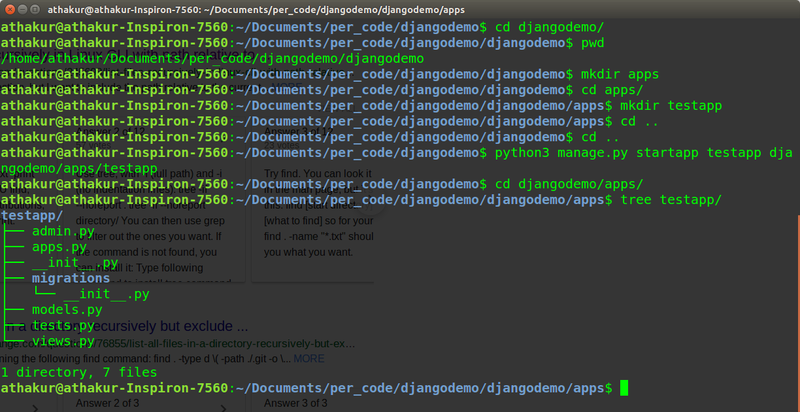 That's it you created your 1st django project and app. We will see some more details about this in next post. Thanks.